Recent retail earnings, as well as various industry reports, continue to support three continuing and profound trends. First, those retailers stuck in the vast and largely undifferentiated middle (think Macy’s, JC Penney, Gap and Sears) continue to struggle and, in some cases, face existential crises. Second, physical store traffic remains down almost entirely across the board, with little prospect of reversing. Third, e-commerce continues to gain overall market share at the expense of brick & mortar. Given this new reality, this new retail world order, it’s time re-think what future success looks like and develop a set of new metrics. Same store YoY as the metric of choice is a decision to hold onto the past, to refuse to accept that the metric was built for a world in which we no longer live. Retailers who refuse to change, to evolve to this new reality, further their risk of irrelevance. While the future of retail will be unevenly distributed, it’s clear that the shopping process for both industry and consumers is evolving rapidly and is far more nuanced than many realize. While the growth of online shopping seems to get the most attention, the far more important dynamic is the degree to which most consumers’ shopping journeys start via a digital channel, regardless of where the ultimate transaction is rung. Retail brands as diverse as Target, Nordstrom and Neiman Marcus indicate that more than 60% of physical store sales are influenced by a digital channel. Data from Deloitte not only bears this out more broadly, but also affirms the rapid pace of change. As much as we commonly talk about brick and mortar retail and e-commerce as if they are two distinct concepts, the fact is increasingly this is a distinction without a difference. The demarcations between channels has been blurring for years. Consumers no longer go online – they live online. Smart devices are increasingly constant companions in the shopping process, serving to blur the lines further. With few exceptions, there really is no such thing as pure e-commerce any more, it’s all just commerce. For most brands, online drives offline, offline drives online, and most customers are active in multiple channels, often during the process to buy just one item. The key now is to execute a channel-agnostic, one brand, many channels strategy. Traditional retail metrics have worn out their usefulness. Given all this, most traditional retail metrics are increasingly irrelevant. While some focus on same-store sales is helpful, for most omni-channel retailers the historical relationship between store traffic and sales rung up in that location is irretrievably broken. For many retailers, traffic growth will never return, yet conversion and transaction value tend to be rising. This is often because customers are more intentional in their store visits, having done their research first in a digital channel. Yet at the same time, customers may traffic a store for research purposes – only to buy the product later online. As BOPIS (buy online pick-up in store) expands and more retailers take online returns at their brick & mortar locations, the store plays a critical role in overall volume and operating efficiency, even though the store may not get direct credit for improving the customer experience and overall economics. Even if retailers knowingly temper their expectations for comp store performance, thinking about a store as a distinct economic entity is fraught with peril. Labeling a store as a poor performer because of declining sale productivity and/or low or even negative four-wall contribution can backfire. Leaders should view the store as the hub of a brand’s performance in a given trade area (i.e. the zip codes that account for the majority of a particular store’s volume). It’s a place where, yes, sales are rung up, but also top-of-mind awareness is created and e-commerce sales are generated. Instead, the instinct for many is to close a store, after concluding they will improve financial performance when actually in many cases it only make matters worse. Closing a store almost always harms e-commerce performance in that trade area, just as add adding a brick & mortar location tends to grow online sales in the geography served by a new outlet. Thinking about e-commerce as a distinct concept is similarly unhelpful. The impact of a retailer’s website and mobile presence on store performance – plus traffic and marketing engagement – is far greater than converting customers to online transactions. Focusing entirely on online shopping centric measurements like conversion rates and average order value greatly undervalues digital’s role in brick & mortar success. Too many companies measure online as a separate P&L and push siloed and isolated performance measures that cause brands to underinvest. It’s therefore not at all surprising that retailers that have failed to evolve are also laggards in omni-channel performance and are desperately trying to catch up. Further exacerbating these issues is the tendency for many retailers to manage their store organization and digital operations as distinct entities. Siloed organizations, data, performance metrics and financial incentives create huge barriers to becoming customer-centric and keeping pace with evolving customer dynamics. Silos belong on farms and any CEO who doesn’t see his or herself as the “Chief Silo-busting Officer” isn’t stepping up as they should. Clearly not all traditional metrics need to be jettisoned. Net Promoter Scores and other measures of customer acquisition, engagement and loyalty can be extremely helpful. The same holds true for lifetime value calculations. But a select group of new metrics can shed light on what’s really going on in a digital-first, omni-channel world. Same (comparable) trade area sales-growth. Given the growing influence of online and the store’s role in supporting e-commerce, combined year-over-year sales growth in a defined store trade area best measures the overall health of the brand and whether share is being gained or not on a location by location basis (as well as for the chain overall). It may well be the case that sales literally rung in a brick & mortar location may be down a bit, but the overall market area may be up given the strength in online shopping, assisted by a visit to the store. It would also be relatively simple to measure trade-area profitability, making it easier to determine which stores merit closure. Same (comparable) customer segment growth. Actionable customer segmentation is at the heart of being more customer-centric and companies that are committed to this path should have specific acquisition, growth and retention goals for each of its major customer cohorts (or personas), in total and by sales channel. Being able to dissect performance by stage of engagement, by channel, and overall is enormously beneficial in unpacking overall performance drivers. Customer journey performance levers. While this will vary depending upon category dynamics, retailers need to map out the customer journeys for key customer segments and major purchase occasions to gauge performance at key moments that matter across the journey. This needs to be married with an understanding of places where retailers could eliminate friction or amplify performance to be truly relevant and remarkable. The role of the store is changing. Forever. 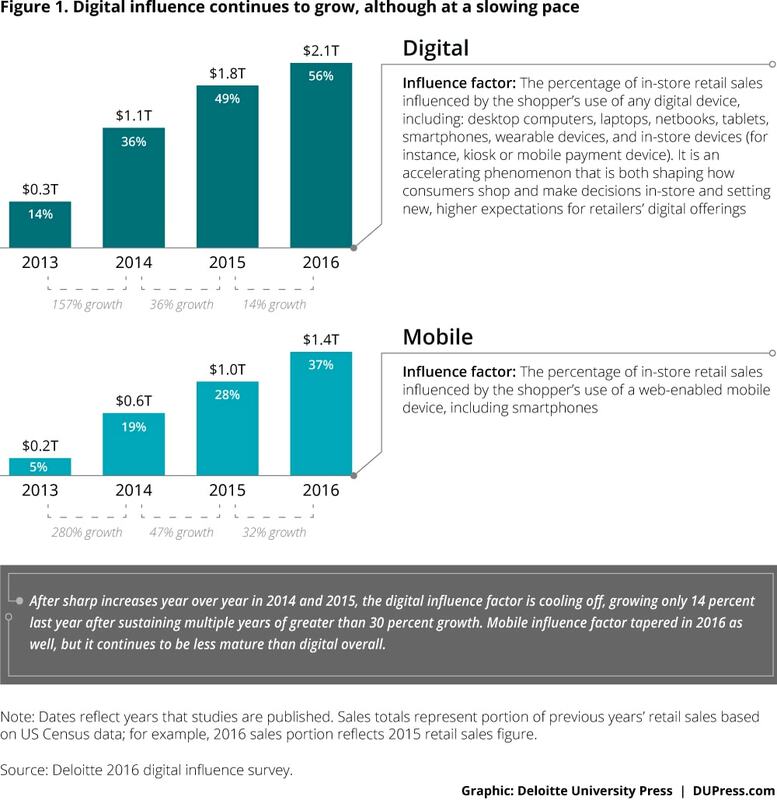 Brick and & mortar locations must complement digital channels. And, in turn, digital must add value to the physical experience. Stores must be more than a place to simply buy things, to execute a transaction efficiently at the lowest price. Instead they must be remarkable and relevant. They must deliver the best of what shopping entails: a differentiated experience, a product playground, an interactive billboard, a social connection, a relationship. The best retailers will deliver a harmonized experience that eliminates pain-points and amplifies special qualities along the customer journey. The best retailers will deliver intensely personalized experiences based upon a deep understanding of customer needs, wants and desires. The best retailers will see sales associates not as costs to be reduced, but assets to help move a brand from boring to remarkable and intensely relevant. The best retailers will organize around the customer, not product categories or sales channels. It’s not easy. Yet advances in technology are making it more cost effective and simpler to execute. The retail brands that will not only survive, but thrive, are those that will aggressively and confidently leap into a world of retail reinvention. My co-author Brent Franson is the CEO of Euclid (full disclosure: a client of mine). For information on keynote speaking and workshops please go here.